Chromebooks are the best machines for students. They are cheap, versatile, and offer a long-lasting battery life, and are for most part very secure thanks to Chrome’s in-built mechanisms. That’s why most of the companies offer budget to mid-range Chromebooks as they mainly focus on the educational market. 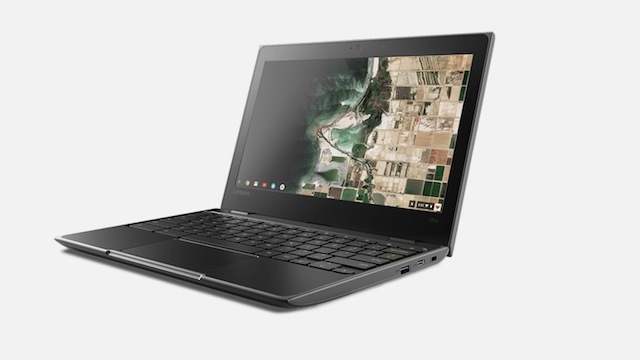 Of all the companies that focus on the educational market, Lenovo is probably the one with the biggest portfolio of products, and now the company has expanded its education portfolio with the unveiling of three new Chromebooks. The three new models are dubbed the 100e, 300e, and 500e. The 100e is the cheapest of the bunch and offers an 11.6-inch screen and is powered by a 2.4 GHz Intel Celeron N3350 processor. The display has a resolution of 1366 x 768 and is coated with an anti-glare solution. The biggest selling point of this Chromebook is that it is built to last. It offers military-grade durability and has a battery life of more than 10 hours. The 300e model offers a lot more versatility than the 100e as it packs a 360-degree hinge and a touch-screen with 10-point multi-touch capability. 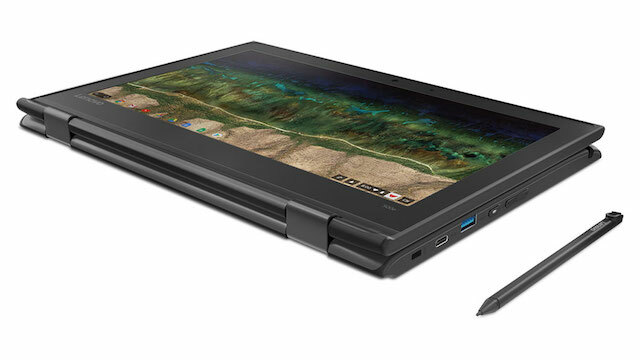 This is also one of the few ARM-based Chromebooks, which are in the market right now. It is powered by a 2.1 GHz quad-core MediaTek MTK 8173C processor. Interestingly, Lenovo has also launched Windows 10 S versions of the 100e and 300e laptops, clearly hedging its bets on both OSes for the education sector. The USP of this device other than the 360-degree hinge and the touch-screen is that the laptop is resistance to accidental spills. According to its product description, the full-sized keyboard includes a sealed touchpad and resists spills of up to 1.39 cups (330 ml). Since no charging or pairing is required, students can easily share the stylus pens with each other. The laptop is being powered by a 2.2 GHz Intel Celeron Quad-core N3450 processor which can provide all the power a student will ever need. 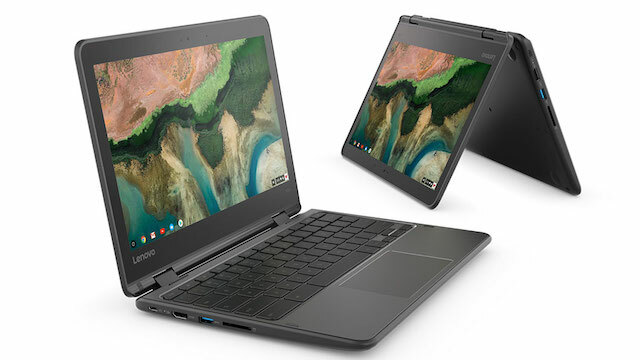 With these new Chromebooks, Lenovo has certainly positioned itself will in the Chromebook educational market. We will have to wait and see if other manufacturers like Acer and Asus will follow Lenovo or not, but until that happens, Lenovo is certainly at the top of the food chain right now.